These co-founders address civic issues and were recently mentioned by Barack Obama for their path-breaking work in cleaning India. These two Bengaluru boys believe in changing the world one step at a time but with the help of the youth in the country. Both Kuldeep and Gautam are passionate in educating the youth and helping them become problem solvers rather than just talk or debate about an issue. They go from city to city and even to the rural corners of the country trying to find out what can be done and how problems can be solved without waiting for the authorities to act upon it. 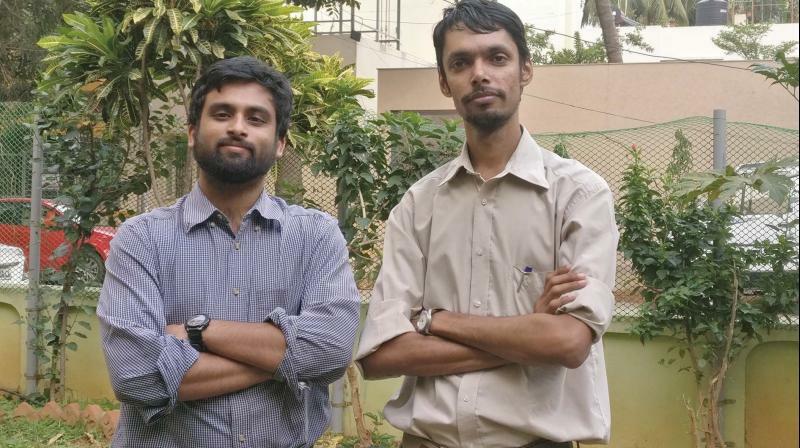 Kuldeep Dantewadia and Gautam Prakash both born and brought up in Namma ooru are co-founders of Reap Benefit, which was recently acknowledged by Barack Obama at the Town Hall meet in New Delhi. The foundation works primarily with the youth to solve problems on issues of water, waste, energy, sanitation and air. Gautam who worked with Microsoft Research and Ashoka India, and Kuldeep, who was working on an independent project focused on collecting garbage in the city. They met at an event, and struck a conversation about how drastically Bengaluru has changed over the past few years. Their main concerns for the city came to the fore, and paved a progressive way to deal with civic issues. Their work has seen great change, and today, they have worked with 15,000 youngsters, 240 schools, and colleges and saved 19 million litres of water and 1,450 kilo units of electricity. They have also developed six low-cost solutions and diverted 270 tonnes of waste from landfills. The founders are mighty happy as their organisation was named by Barack Obama, who mentioned the work of Reap Benefit at the Obama Foundation Town Hall meeting in New Delhi in December. They have also won the national award Swachathon in 2017 presented by the Ministry of Drinking Water and Sanitation. There are two new projects that the duo is looking forward to. One is a new technology platform to get more youngsters on board. Through that, the community of young people can get crowd source information and talk to peers from different cities and different parts of the world. Another project on agenda is converting a tempo-traveller or van into a Solver Van, where youngsters will go to low-income communities in the van and solve problems happening in the community.